If you think the big three prestigious German brands have the Executive car segment sewn- up, a drive in Jaguar's second generation XF may be enough to make you reconsider. Even in the face of tough competition from rivals like the BMW 5 Series, the Mercedes E-Class and the Audi A6, this car offers a compelling range of virtues. This MK2 Jaguar XF model is lighter, more efficient and packed with technology, an improvement on its predecessor in every possible respect. Slightly more compact dimensions disguise a longer wheelbase that's allowed the hi-tech aluminium-intensive architecture to clothe a much more spacious cabin, especially for rear seat folk. 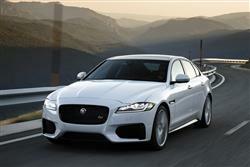 What hasn't changed is the XF's remit as a more sporting, dynamic choice in the full-sized Executive segment. To put that in competitive context, it's more BMW 5 Series than Audi A6 or Mercedes E-Class, though buyers of all three of these cars should be tempted by this model's cutting-edge cabin technology and class-leading efficiency figures. In the last decade, German rivals like these have dominated this market sector as Jaguar re-built its reputation amongst business buyers. Having done that and rejuvenated the car that re-established it as a desirable brand, the company's ready to take on this segment in earnest with what looks to be an elegant, progressive display of British engineering and craftsmanship. How will it fare? Let's find out. Stay with us here. The XF range hinges around 2.0-litre diesel four-cylinder engines and while that doesn't sound too exciting, it's where the big sales are. Most buyers opt for this unit in either 163 or 180PS guises, but the brand also offers a twin-turbo 240PS version of this engine. The two more powerful variants are offered with the option of AWD. There are now some decent petrol options further down the range, also using the brand's efficient 'Ingenium' technology and exclusively available with automatic transmission. A 2.0-litre four cylinder unit comes with either 200, 250 or 300PSPS, the pokier powerplants available with an AWD option. As before, two V6 engines sit at the top of the range, a 300PS twin-turbocharged 3.0-litre diesel and a 380PS supercharged 3.0-litre petrol unit. The top diesel cranks out 700Nm and can rocket to 62mph in just 5.8 seconds. 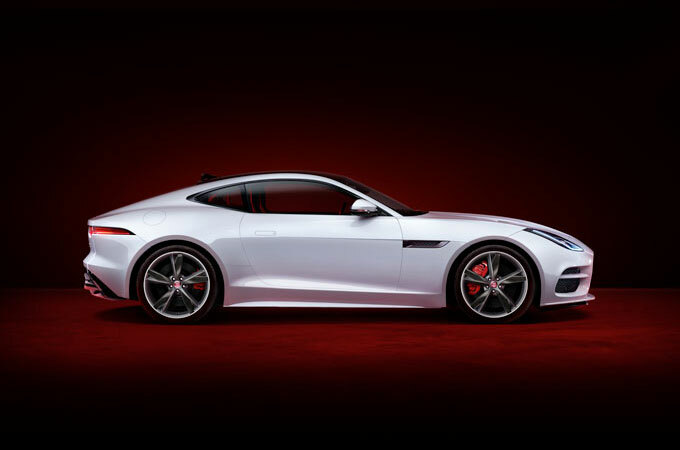 The petrol engine has been purloined from the F-TYPE sportster and is reserved exclusively for the racy XF S. Matched to an eight-speed automatic transmission, this model is capable of covering the 0-62mph sprint in 5.1 seconds on its way to an electronically-limited maximum speed of 155mph. 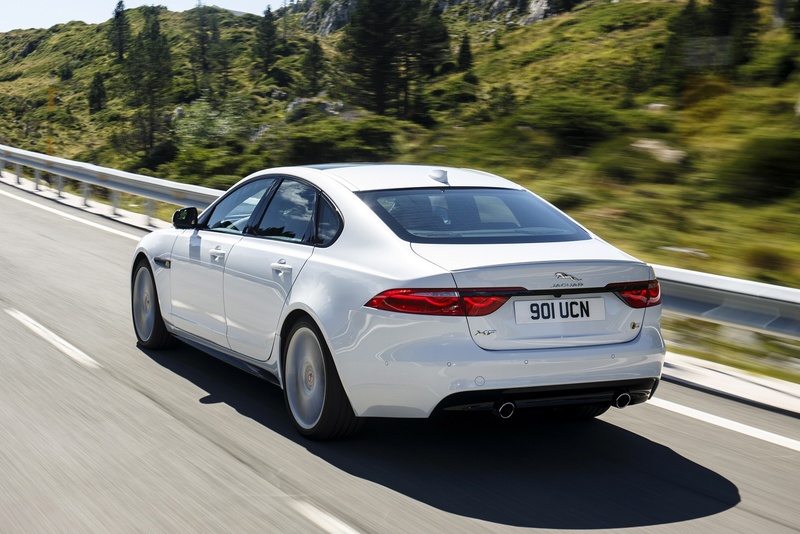 Across the XF range, driving dynamics suit a relaxed but purposeful style. The chassis delivers near perfect 50:50 weight distribution and huge strides have been made to perfect refinement. 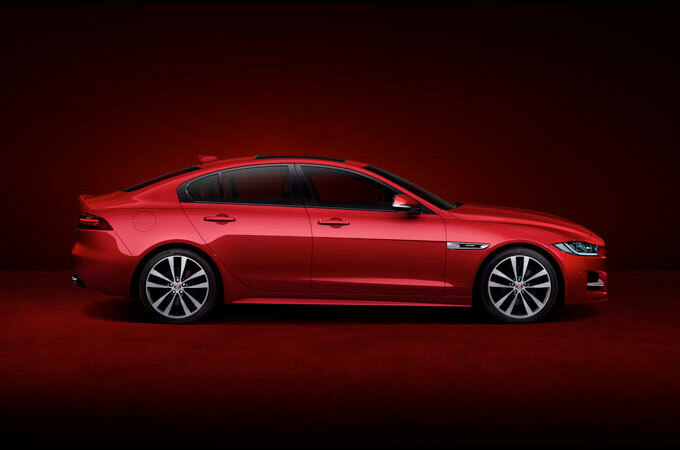 The XF shares its suspension set-up with the smaller XE model, which means struts with double wishbones at the front and an 'integral link' independent set-up at the rear. 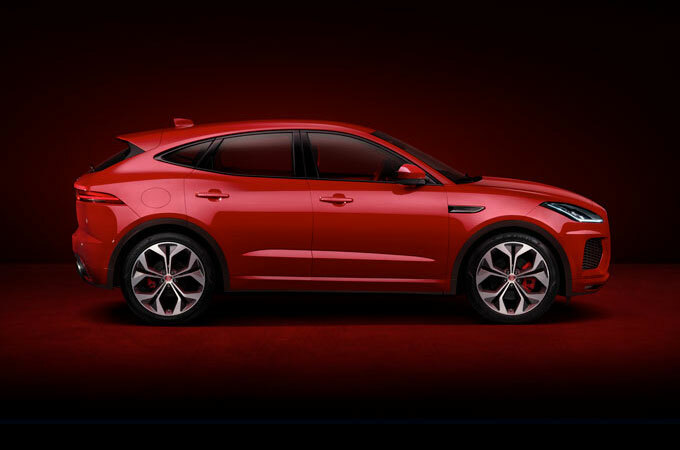 The steering uses the same electric power-assisted set-up as the Jaguar F-Type and XE, while active dampers are on the options list. From almost any angle, you'd know this was a Jaguar. You'd know this was an XF. It's a very different one though, in ways you simply won't appreciate if all you offer this car is a cursory glance. The sweeping coupe-like profile that defined the original model has evolved, the roofline lower, the rear deck longer and higher. There's a choice of saloon or Sportbrake bodystyles. And inside? Well a seat in the front of an XF has always been a special experience and it still is. The rising circular gear selector on automatic models remains a highlight, as are the cartwheeling airvents that turn into place as you start up. Those vents have been reduced in number and thrown to the edges of the cabin with this MK2 model, with the centre of the fascia freed up for a sophisticated 8-inch 'InControl Touch' infotainment system. This set-up's certainly a vast improvement on the low-tech display of the previous model in both form and function, but we are a little surprised that Jaguar has chosen not to provide the kind of 'i-Drive'-style rotary infotainment controller that direct Executive segment rivals offer, perhaps because of the possible confusion this might have created with the similar-looking rotary gear selector I mentioned earlier. You can now order it wih dual-screen technology which will enable the driver to look at one thing (say the sat nav) while the front passenger looks at another (say a DVD). 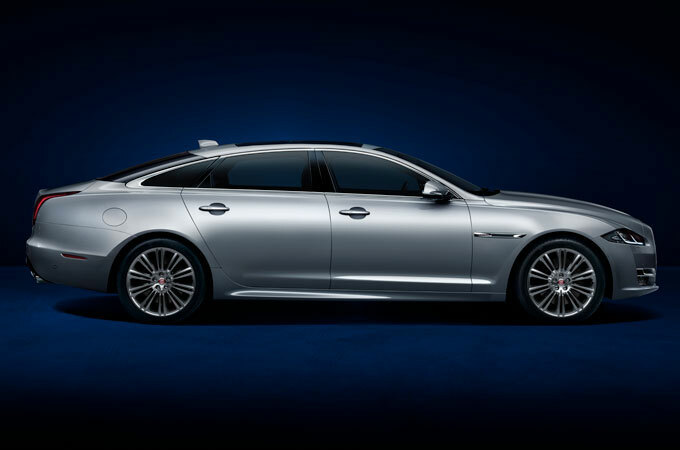 At 4,954mm long, the XF remains a big car, so there's lots of room in the back. The doors offer an optional soft-close function, and there's plenty of natural light flooding the cabin. If you want more, you can specify a panoramic sunroof. The rear bench also features a more practical 40:20:40 split, making it easier to through-load bulky items such as skis. The 540-litre boot has the option of a power close function which can work with one of those 'gesture control' systems if you approach the car laden down with baggage. 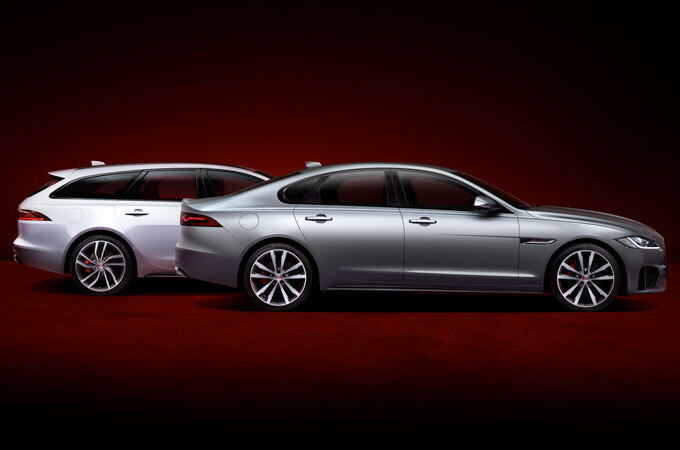 The XF comes in either saloon or Sportbrake estate guises. Prices start at around £32,500 for a 2.0d variant with 163bhp, but another £500 gets you the 180PS version of this engine. Almost all buyers pay the £1,750 premium to get auto transmission, a standard feature on the pokiest diesel and all petrol variants. Trim-wise, the mainstream range steps up through Prestige, R-Sport and Portfolio trims. At the top of the range are the 300PS diesel and 380PS petrol XF S models, both priced at around £50,000. The InControl Touch infotainment system is based around an 8-inch capacitive touchscreen and supports gestures familiar from smartphones and tablets such as 'swipe' to perform actions such as moving from one page to the next or to change tracks, and 'drag' to scroll across maps. The InControl Touch Pro upgrade offers a 10.2-inch touchscreen and Dual View technology which simultaneously allows the driver to see information such as navigation, while the front seat passenger watches TV or a DVD. Audio systems include the exceptional 17-speaker, 825W Meridian digital surround sound system. Added safety technology bult into the optional surround camra system includes 'Forward Traffic Detection' which alerts you at times of reduced visbility when something is crossing your path up-front. And 'Forward Vehicle Guidance' which helps you place the car in low speed parking manoevres. Running costs of course will be crucial for both private and business buyers. They won't be disappointed here. It seems almost unbelievable that the 2.0d 163PS engine opens with a supermini-style 104g/km emissions figure and 70.6mpg on the combined cycle. Step up to the 180PS version and you'll still see 114g/km and 65.7mpg - leading to an identical taxation banding. The AWD 180PS variant suffers in efficiency terms, the figures falling to 57.7mpg and 129g/km. The 240PS diesel manages 53.3mpg and 139g/km in RWD form, with only a fractional reduction on that if you go for AWD. As for the four cylinder 2.0-litre petrol engine, well expect 41.5mpg and 154g/km from the 200PS variant. Opt for the powerful V6 diesel and that'll see 51.4mpg with emissions of 144g/km. The supercharged 380PS petrol engine takes the wooden spoon in the efficiency stakes, as you'd probably guess, but 34mpg is far from disastrous when you pause to consider that a Porsche Cayman GT4, with similar power and a far smaller body, struggles to better 27mpg. If you’re looking for a new Jaguar XF 2.0d  Prestige 5dr Auto Diesel Estate for sale, you’ve come to the right place. 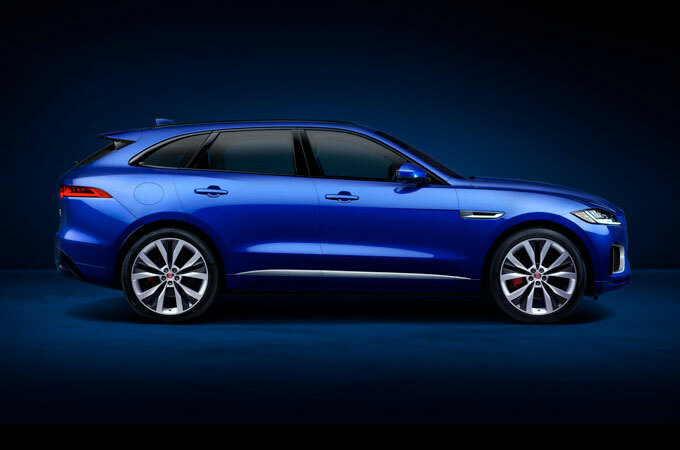 At Bristol Street Motors we don’t just have the best Jaguar XF 2.0d  Prestige 5dr Auto Diesel Estate deals, we also offer friendly advice and help with all your enquiries to ensure your buying experience is a happy experience. Terms & Conditions: Every effort has been made to ensure the accuracy of the information shown. However, errors do sometimes occur. 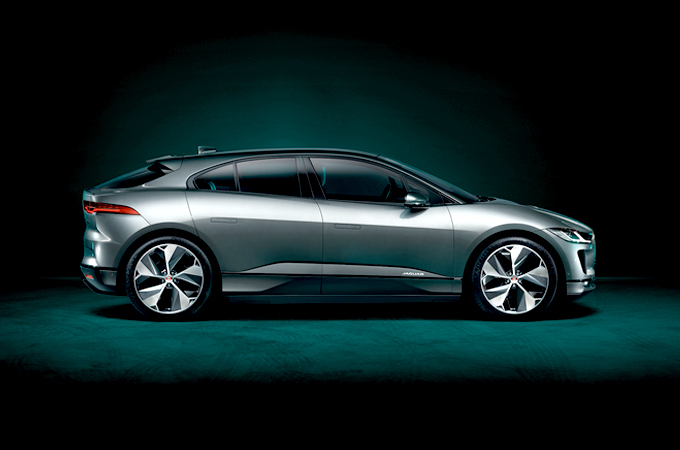 The specification of each vehicle listed on the Farnell Jaguar website is provided by "CAP". Please note that the Images of each vehicle are range shots, these can include images which do not reflect the precise details of the vehicle you are looking at and are purely used for illustrative purposes. The inclusion of such data does not imply any endorsement of any of its content nor any representation as to its accuracy. We do not charge a fee for introduction to a finance provider; however we may or may not receive a commission.